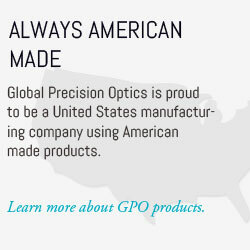 Global Precision Optics uses the latest technology to develop high quality optic products, like spherical lenses, windows, mirrors, wedges, domes, and many other elements in a variety of substrate materials. 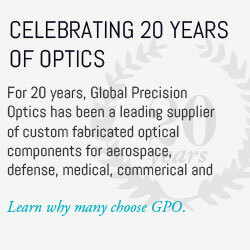 We are a leading supplier of custom fabricated optical components for aerospace, defense, medical, commercial and research applications. To learn more about our products, click here.